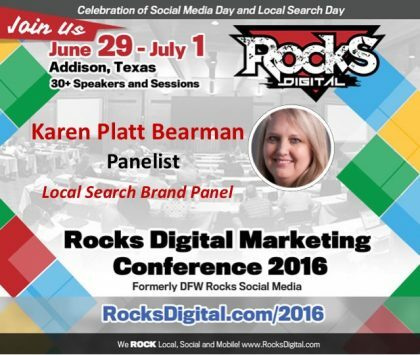 Click the title below to read the speaker bios and presentation descriptions. 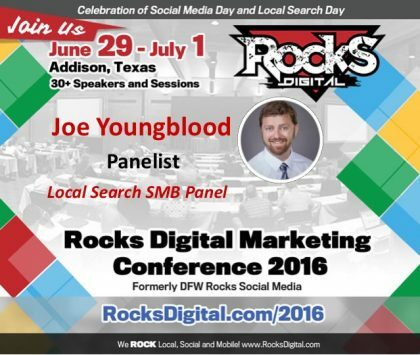 Join us at #RocksDigital 2016 in Addison, Texas for Andrew Shotland’s Local Search Day keynote "The 2016 Local SEO Ranking Factors: Reverse Engineering Google's Local Search Algorithm". 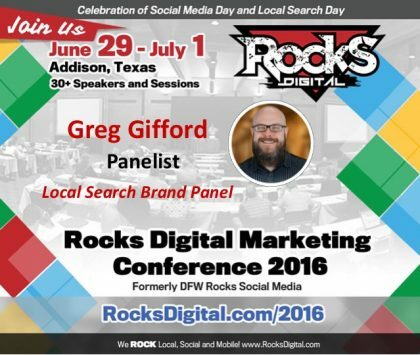 Join us at #RocksDigital 2016 in Addison, Texas for Greg Sterling's Keynote Presentation "The Mad Mad Mad Mad Future of Local Search" in celebration of Local Search Day!